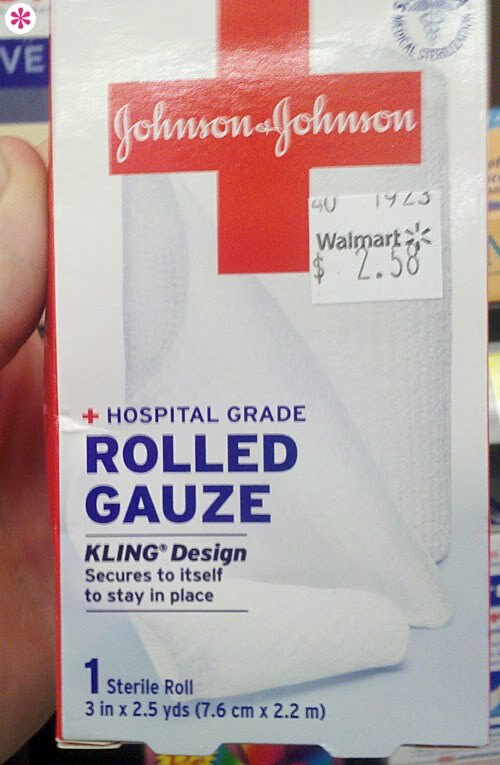 A serious upgrade for Johnson & Johnson (see an earlier design here). Communicates first aid, sterility, and the simplicity of the product... gauze ain’t complicated, people. First off, the Curad logotype is laden with ligatures it doesn’t need. You know I hate that. Secondly, could they find a more muddled way to design this? You’ve got about eight type styles and sizes, numerous shapes and colors, a gradient, and a magnifying ring that doesn’t actually magnify. 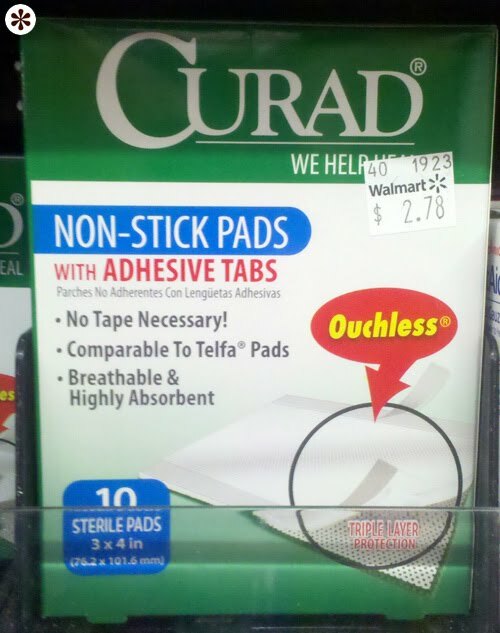 The bandages may be ouchless, but the box is ouchful. A big thanks to Josh Leffingwell for the submission. Want to submit stuff too? Go here to find out more. Ooooh. I almost sent you the Johnson & Johnson boxes the other day. I noticed it when purchasing some band-aids. This design is SO effective. The swiss cross lets you know from the end of the isle where you need to be, and the simple photo of the actual thing in the box makes it SO easy to find the thing you're after. Take heed, purveyors of packaged goods, quit adding extraneous crap to your package! Ease the decision making process for consumers! Make it clear! Make it simple! Make it easy to understand what we're buying! You're making it harder than it is, and making it work less-well in the process. Don't you just feel like they registered "Ouchless" because they could and used it for the same reason.